When my older brother returned home from a month’s vacation in the Phillipines and Japan, he brought home a package of goodies containing some of my favourite things! If you’ve been to Japan, you will know that they love making KitKat using different flavours. The flavours are usually available during their corresponding peak season – strawberry is one of the most popular. He also brought back green tea and chilli (which was pretty spicy). Another food trend in Japan is the use of milk. In chocolate or milk chewy candy – think sweetened condensed milk, but my favourite of all-time has to be Calpis, a milk base concentrate…delicious! I was first introduced to Calpis as a child when I would visit my grandparents in Japan during the summers. Thinned with water (or vodka for an adult version) and made with a variety of flavours (strawberry, grape, etc.) – if you find it at an asian store, give it a try! 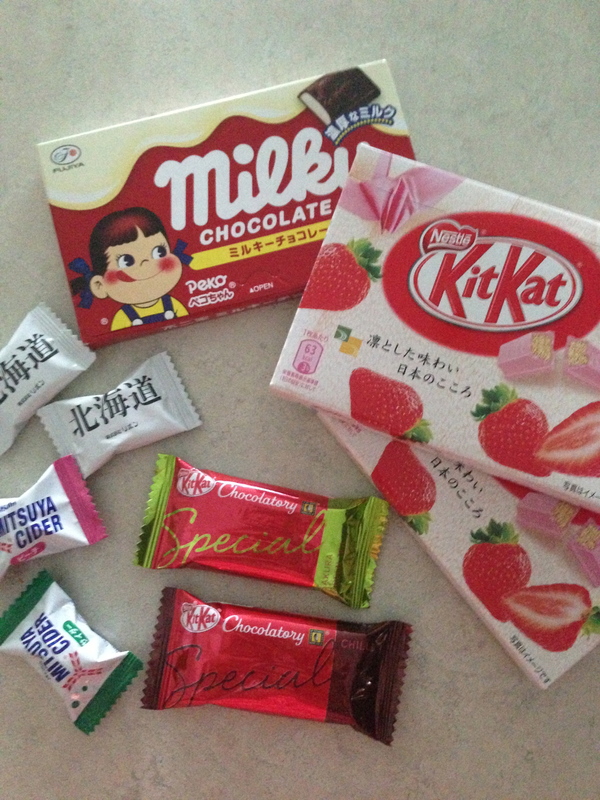 Sample of goodies from Japan – chocolate and candies. 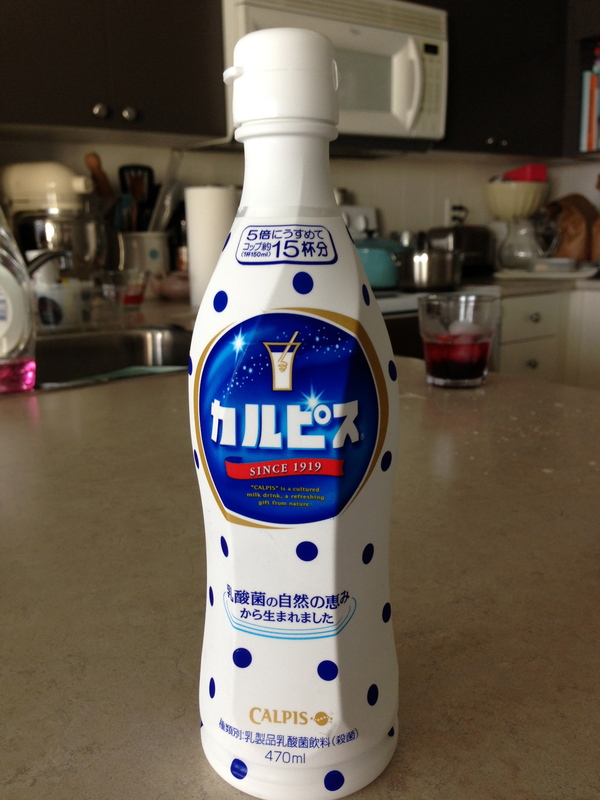 Calpis concentrate – my childhood favourite drink!